Abstract—This work demonstrates a faster approach for liveness detection in fingerprint devices. The physiological phenomenon of perspiration, observed in time-series fingerprint images of live people, is used as a measure to classify `live' fingers from `not live' fingers. Pre-processing involves finding the singularity points using wavelets in the fingerprint images and transforming the information back in the spatial domain to form a spatial domain signal. Wavelet packet sieving is used to tune the modes so as to gain physical significance with reference to the evolving perspiration pattern in `live' fingers. The percentage of energy contribution in the difference modes is used as a measure to differentiate live fingers from others. The proposed algorithm was applied to a data set of approximately 58 live, 50 spoof and 28 cadaver fingerprint images captured at 0 and after 2 sec, from three different types of scanners. An overall classification rate of $93.7 \%$ was achieved across all the three scanners. Index Terms—fingerprints, spoofing, liveness, wavelet analysis, multiresolution analysis, wavelet packet analysis,empirical mode decomposition, Hilbert transform. A. Abhyankar is with the Vishvakarma Institute of Information Technology, Pune, India. He is also associated with Clarkson University, NY,USA, and Government College of Engineering, Pune, India (e-mail:aditya1210@gmail.com, abhyanas@clarkson.edu). S. Schuckers is with the Clarkson University, NY, USA. She is alsoassociated with West Virginia University, WV, USA. 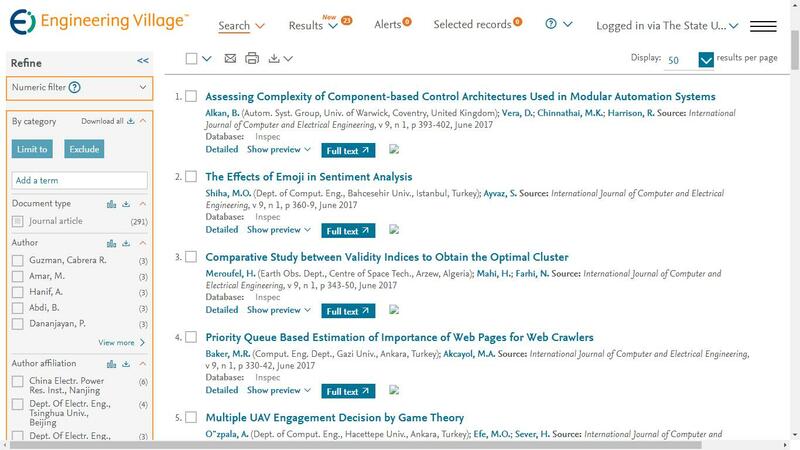 Cite: Aditya Abhyankar and Stephanie Schuckers, "Modular Decomposition of Fingerprint Time Series Captures for the Liveness Check," International Journal of Computer and Electrical Engineering vol. 2, no. 3, pp. 426-431, 2010.